1. 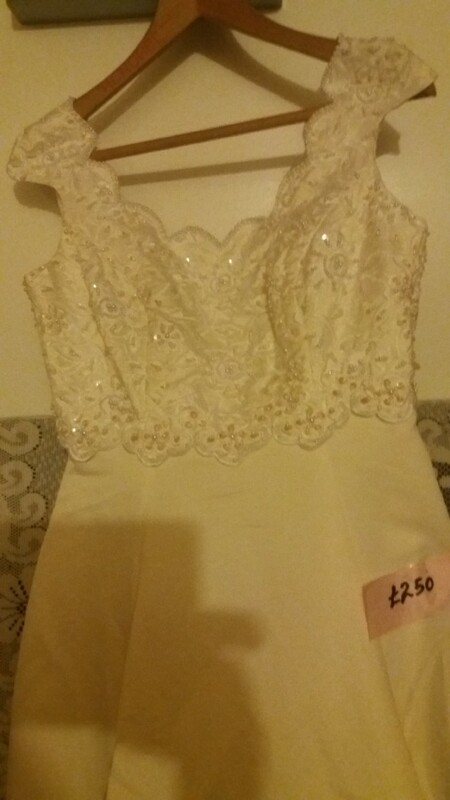 David Bridal, Size 16, Ivory/Cream Sequined Wedding Dress; with long flow out, sequinned back skirt tail. 2. Bridal Original, Size 12; Ivory /Champagne Wedding Dress; strapless sequinned, flow out back skirt tail. 3. Morl Lee, Size 8-10; White/black sequins and mesh, ball gown Wedding Dress; with straps. 4. Morl Lee, Size 16-18; White/black sequins Wedding Dress, flow out back skirt tail.